There was a time when coming up with a good design and consistency across whatever you were publishing, whether it be a manual or an advertisement, required hours of painstaking work by hand. However, that is a thing of the past. With the invention of computers, many aspects of life have become easier and one such aspect is publishing. With Desktop publishing services (DTP services) it is remarkably easy to insure that your documents fit a specific and consistent template, regardless of which market, which country and which language is used. Some may be unfamiliar with the concept of DTP services, so when it comes down to it, what is desktop publishing? Desktop publishing services refer to the use of a computer and a page layout software to create the document that you wish to publish. The software tends to work in a what-you-see-is-what-you-get basis; whatever you see on the screen is a near exact copy of the document that will be finally published. With a skilled and experienced user of DTP software, a near endless stream of possibilities emerges. From menus and pamphlets to magazines and books, all can be created with the aid of desktop publishing services. 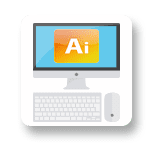 Adobe Illustrator is a great tool when it comes to editing or creating logos, icons or any type of vector art and we have highly skilled people working with it every day. Editing a photo or 3D art is a breeze for our highly trained employees. Imagine you have a picture with text on it you need to translate, what do you do? USA Translate can do it for you! 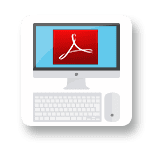 Whenever you need to translate a locked pdf file, Adobe Acrobat allows us to copy the text into another format which is easier to use, then add it back to the original file. 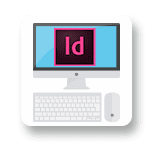 InDesign allows us to design great looking layouts for digital publishing like brochures and presentations. But the best part is, it is able to create interactive content with video and sound. Need DTP services? Get your free quote in 5 minutes! You may also wonder, how exactly is this possible? How do desktop publishing services actually work? The first step is by identifying the right software. When DTP services began in the 1980s, the difference between DTP and word processing was massive. 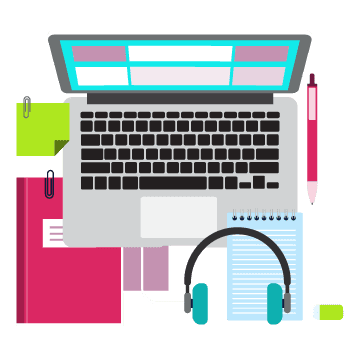 While word processors, like Microsoft Word, have caught up to a degree, there is still a significant difference between word processing and dedicated desktop publishing software, such as QuarkXpress, FrameMaker, Photoshop, and Microsoft’s own Visio, Project and SQL. With a DTP program, there are two types of pages to consider: virtual and physical. Physical pages are the real pages on which the material is printed, while virtual pages are those electronic pages on which you layout and edit the material before printing. What are the advantages of using such complicated DTP services over Word, you may wonder? 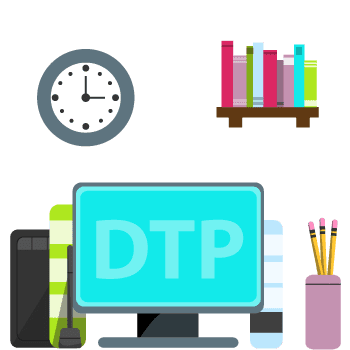 With DTP, you still have excellent control over the layout of the page, despite the efforts of word processors to integrate the two systems into one item that can suit all your needs. 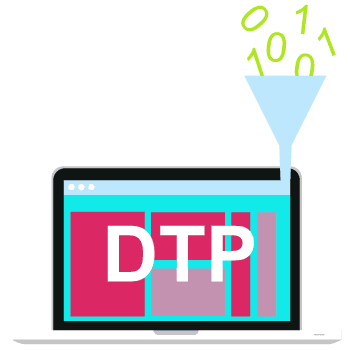 DTP services do get some competition from typesetting software such as TeX and Troff, which allow you unparalleled control over the design, where DTP has the advantage over typesetting in the interface. Type-setting software requires the user to know the internal processing commands to achieve his page layout objectives. With Desktop Publishing, the system is much more intuitive. The what-you-see-is-what-you-get basis of DTP software insures that, to new users, it is much more friendly than typesetting software without losing much functionality. 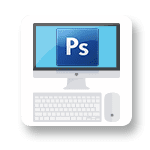 So what really is desktop publishing? It is the digitization of the publishing industry. What else can desktop publishing services do? It is a way for you to make a tidy profit. Is there anything more that DTP services can offer? They offer you unparalleled control, consistency and freedom over the material that you wish to publish. Why should you hire USA Translate? You have been hanging out on Youtube for way too long, and you know you can learn this publishing software on your own. Why should you hire a professional desktop publishing designer for your content when you are sure you can do it yourself? If you are making pamphlets for high school break-dance competition then even we will also suggest that you design that yourself. Everyone is going to show up anyways, and you have to print out the details on a decent enough background. Any content that is comparatively informal and does not need serious editing should be done at home. Are you launching your new brand and designing your catalog in another language? The brand is not that big, and you are starting at a small scale. You are thinking about hiring a freelance designer, but you are not sure that you have enough work. After a couple of weeks in designing, the company will go into production mode, and there will not be much need for designing. This is where we come in. We provide professional translation services, but we can also adapt your existing catalogs, brochures; posters and similar content to the new language. We will create exquisite designs within your budget; the outlook will be professional and eye-catching. Desktop publishing services are ideal when you need the content to be presented in the most sophisticated manner possible, and you do not need to hire a designer. You can also not afford an excellent designing team; you have an insufficient budget. 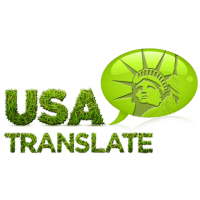 USA Translate is a translation company in El Paso, TX which is able to deliver the content that you need at a price you can afford. Our services are and will always be professional and timely. We will be a great asset to your team. How Can You Benefit from Desktop Publishing Service? USA Translate gives you access to resources and experiences that you may not have in-house. 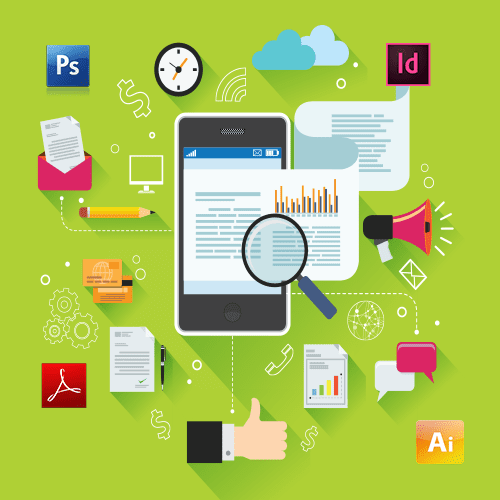 Our Desktop Publishing Service specialists are masters in the use of standard publishing applications from Adobe, Microsoft, Macromedia, and Quark. We can also offer added services that can significantly enhance the quality of your final product. These include services such as a quality check, proofreading, and content editing. Effective communication and project management are critical components of our Desktop Publishing Service offering. We accept that any prosperous business begins with understanding the specifications of our clients. Once we know your long-range business goals, we work closely with you to examine projects and design the original development process. In case you have any immediate requirements, our project managers can turn around projects in a short period. Our team of professional translators and technicians are dedicated to the quality and accuracy of work. Our desktop publishing editors review all customer deliverables before they are completed. A quality check is done both regarding language and the page layout design.